Poverty reduction in Haiti is certainly not a new topic of discussion, as poverty reduction and improving one’s life to be able to be more productive or purchase more goods has always been a natural goal of humanity. In my book, From Aid to Trade, we look at how poor countries remain poor and how the current foreign aid system can hurt low-income countries like Haiti. This is an important part of what I’ll touch on in this piece. I am not giving an intricate layout of what policy reform needs to look like to alleviate poverty, because, in reality, “alleviating poverty” is a very complicated task with a lot of moving parts, and well-thought plans by the world’s biggest institutions are still only the first steps. Here, I will lay out some overarching themes to help us begin to think contextually about poverty in aggregate in Haiti from a bird’s-eye view. My hope is that this piece will lay the groundwork for future policy-focused pieces. How do Haiti and other developing countries differ when it comes to reducing poverty? First, it is evident that the are less of a policy fix and more of a structural and institutional problem. Strong property rights, strong institutions, rule of law, lack of government corruption, and a business-friendly environment are some of the most important characteristics powerful economies hold. These are the most important ingredients in the recipe for success. Poverty is not an issue that can be fixed by a swift policy proposal from the World Bank or a government. It requires collective action from the government, foreign and domestic institutions, the private sector as well as NGOs, and individuals. It can begin to happen when people of credibility speak up and begin to educate the masses that capitalism, rule of law, strong institutions, and shifting from free money and handouts to impact investing and business is key, which is why I speak so adamantly about these principles… to start the conversation that might someday create lasting change. Another thing to consider when thinking about poverty reduction strategies in Haiti is to look at the structure of Haiti’s labor market. It is important to look at the sectors that are prevalent and that employ the most people (both informally and formally) to build a strategy that works for Haiti. In more developed countries, poverty can be attacked by allocating money in a different way that creates incentives for people to increase their human capital (like free community college), or tweaking tax law or government programs to be more efficient and effective (like increasing the earned income tax credit). Another way poverty is attacked is by improving the quality for things that aren’t cash-based, like infrastructure, schools, or improved safety in low-income areas. 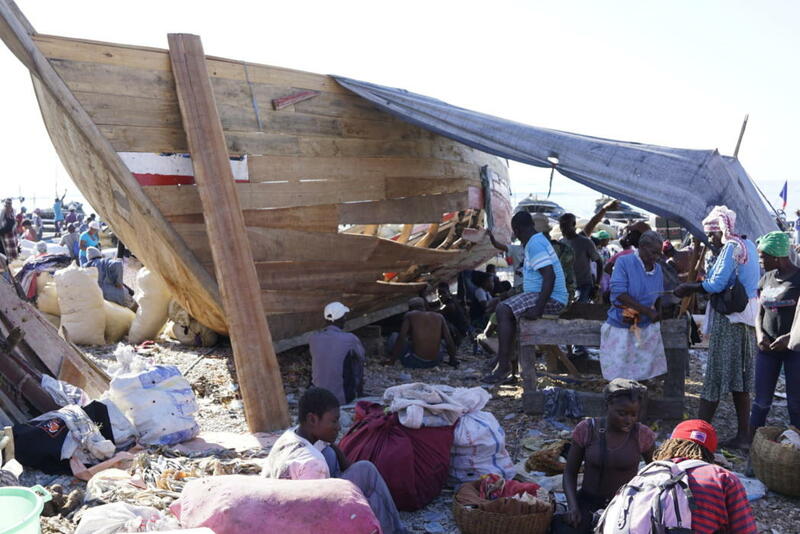 Think about it… trying to reduce poverty is going to look different for Haiti. One, there isn’t enough money to go around for a government and a country with a lot of problems that need to be fixed at once. Secondly, things like schooling are largely in the hands of NGOs or private schools. Thirdly, in Haiti, stable economic growth is not present, which acts as a natural force for improving poverty. It goes without saying, but Haiti is simply a lot more behind in a lot of areas, so this should be in the back of our minds before we talk policy and poverty-reduction strategy. It is also not solely the fault of governments and policymakers, which are often the easiest to blame. 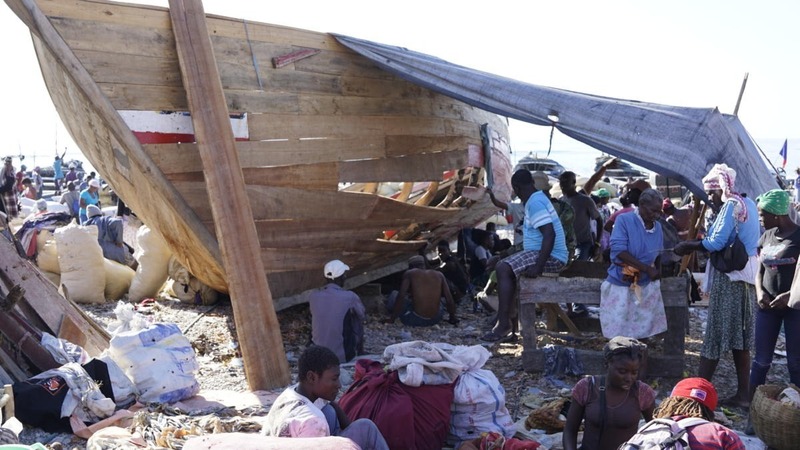 Haiti has had some rotten luck, and its physical proximity and susceptibility to natural disasters has caused the country to take two steps back when it has seemed like progress was starting to be made. Brian Concannon, the executive director and founder of the Institute for Justice & Democracy in Haiti adds some good context, saying that “for a long-time, Haiti geared its economy to paying back the French debt and missed out on industrialization, education, and development.” So, part of the problem is that poor decision-making or things of the past caused things to be more difficult in the future. Although not in a favorable position, there are opportunities for Haiti to not just play catch-up but try to ensure they don’t miss out on the next revolution. Human capital and human development need to be at the forefront of the discussion. The flourishing of human capital that starts businesses, creates jobs, and contributes positively to society can certainly be held back by institutional and structural challenges like the ones that are present in Haiti, but creating a workforce of problem-solvers, doers, thinkers, and entrepreneurs is something that has helped countries experience high levels of growth. If Haiti creates a workforce like this, looking at history, these institutional and structural challenges can be mitigated. You might be thinking that the easy answer to all of this is simply creating a more educated and entrepreneurial labor force. There’s more, but, in reality, it is a key step to stopping the catch-up game with other economies, and this is how Haiti can skip ahead to the demands of the future. Broadly speaking, what should be influencing anti-poverty policy strategies right now for Haiti? Secondly, Haiti needs to want to change. That is why I speak on and write adamantly about my ideas to create a more prosperous Haiti. I believe it helps our country recognize the need for collaborative action and makes people want to change. Thirdly, Haiti can prepare for the future by strategically investing in human capital and human development now. While there are potentially other areas of investment that can be impactful now (like creating more efficiency in agriculture), NGOs are often filling those spaces, and ultimately, the prevalence of natural disasters and a changing world will continue to push the labor market towards things like positions in the gig economy, service jobs, and STEM jobs. What should be influencing anti-poverty policy strategies right now from the perspective of the Western world? In a more general sense, what are some simple first steps the Western world can take to change how they think about helping alleviate poverty in Haiti and other developing countries? This has long been a phrase of mine, but it is applicable here again. The Western world can shift from aid to trade. They can spend and support local artisans and businesses and support U.S. businesses and initiatives that seek to engage in direct investment and other business activity that spurs economic growth. It can also listen to people of credibility, self-educate, and think about how to impact-invest rather than blindly trying to “cure poverty” by, for example, giving out free money and undermining the supply side of markets in the country they are trying to help. Be on the lookout for pieces in the future that dive deeper in to some of the broader topics of what is discussed here, including policy-focused pieces on poverty-reduction through greater efficiency in agriculture, public-private partnership opportunities, stimulating economic growth, and creating wealth.